The Friday Breakthrough: Chrome Says Kiss Your Harddrive Goodbye! The Friday Breakthrough is Ottawa’s weekly roundup of some of the internet’s best marketing and social media articles for a less-than-intense day at the office. How do you reach tech-savvy young men? Get inside their Xbox video games. A national security element of the British government is planning to do just that placing ads inside games like “Assassin’s Creed II” and also the Xbox Live interface. Government intelligence organization targets recruits with Xbox Live ads. Where my tweeps at? As if some people don’t catalogue their life thoroughly enough online, Twitter enthusiasts can now geo-tag their tweets so that their location will be listed along with their message. Now You Can Tell Twitter Where You Are. Canadian Members of Parliament have discovered Twitter. The results have been mixed–including a recent controversy over some unflattering comments from one MP to another–but one in three MPs are now on the micro-blogging service. Canadian Press describes the outcomes so far. 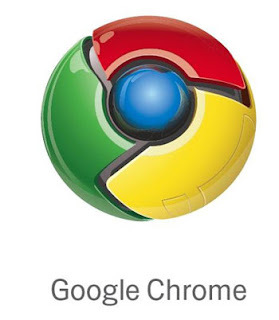 Google Chrome–the new operating system from the search engine giant–wants you to take all your computing online. Much like its Documents app, most of Google’s new OS takes place on their servers. Is it the future of computing? Only time will tell… Ditch Your Hard Drives, the Future Is the Web. Do you think you’d willing to put all your computing content online? Let us know! Leave a comment or send us a message @marketingottawa.